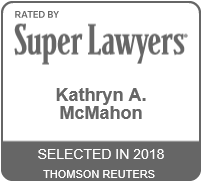 Kathryn McMahon advocates for her clients and helps to eliminate any uncertainties throughout the divorce process. 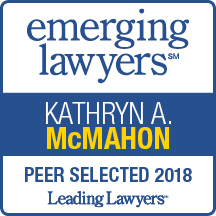 Ms. McMahon focuses on the specific needs of each individual client, and she has been successful in gaining favorable outcomes for her clients when resolving complex financial and child-related disputes. Ms. McMahon is a member of the American Bar Association, the Illinois State Bar Association and the Chicago Bar Association. She is proficient in French and is currently studying Spanish. Ms. McMahon serves as the Vice President of the Madhatter’s Club and former Co-Chair and Vice President of Membership of the Lookingglass Theatre Associates Board. While in law school, Ms. McMahon received a certificate in tax law and focused her studies on family law, taxation, and trust and estate planning. She was a member of the Loyola University Chicago School of Law mediation team where she continues to volunteer her time. Ms. McMahon was an associate editor of the Loyola University Chicago International Law Review and received the CALI Excellence for the Future Award in appellate advocacy. 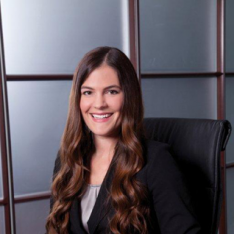 Before law school, Ms. McMahon worked for a family law attorney in Wisconsin, and while in law school, she continued her training in matrimonial and family law as a law clerk for Katz & Stefani and another prominent family law firm in Chicago. Ms. McMahon also gained litigation experience in Illinois state court as a judicial extern for the Honorable Donald J. O’Brien, Jr. (retired), Circuit Court of Cook County, Law Division, and in federal immigration court as a legal intern at the United States Department of Homeland Security, Immigration and Customs Enforcement, Office of the Chief Counsel. Ms. McMahon joined Katz & Stefani in 2012. She was recognized as an Illinois Rising Star by Super Lawyers for the past 6 consecutive years (2014-2019); the designation is limited to less than 2.5% of lawyers who are fewer than 40 years of age or who have been practicing for 10 years or less in the State of Illinois. She was also named an Emerging Lawyer by Leading Lawyers in 2017 and 2018. She was also named an Emerging Lawyer by Leading Lawyers in 2017-2019. Your Appearance In Court: It Matters! Divorce Math Workshop, Lilac Tree, February 15, 2018. Ms. McMahon is admitted to practice in Illinois.